Everyone shops national chains or buys off Amazon.com from time to time. Sometimes it is the only option for certain items, or the only sensible choice for bulk items that are sold as commodities. However, there are a number of great reasons to shop small local merchants that should be considered that go beyond finding the minimum price in an online retailer or the familiar of a national chain. The biggest advantage is financial. Small local businesses are owned by your family, friends, and neighbors and their profit mostly stays in town. Local business profits are used to help the local economy–which creates jobs for your neighbors. Several recent studies in multiple cities of the economic impacts of buying from local businesses showed that 2-4 times as much economic impact is generated locally per dollar spent at small local businesses than their national chain competitors. This multiplier means that there is more money for investment, development and taxes. 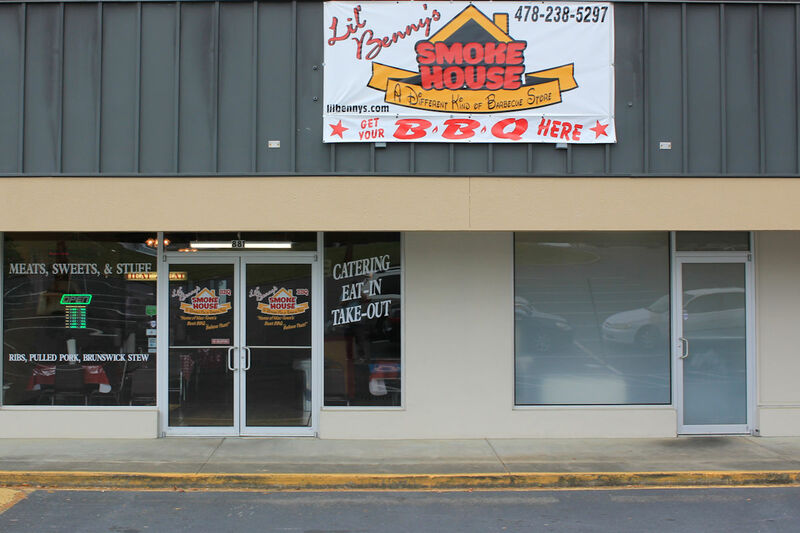 Li’l Benny’s is tucked away behind Suntrust and Mikado Japanese Steakhouse, across from Ingleside Baptist Church. Photo by Doug Deal. The reason for this is that national chains, even franchises, direct a large amounts of the profits back to the corporate owner and supplies are generally always purchased from a national distribution network. Online retailers do not even have the economic impact of hiring local employees. On the other hand, a local business not only hires local workers, all of the profits go to local owners who then spend locally and are taxed locally. Instead of profits generated in Macon generating taxes to pay for roads in New York or California, they remain in Middle Georgia. 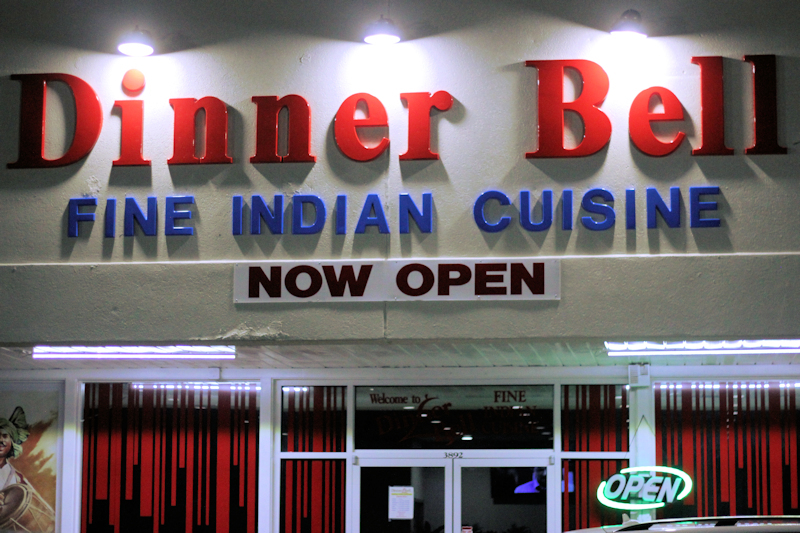 Dinner Bell is located near Sams and next to Serena Wholesale on Eisenhower. Photo by Doug Deal. Another advantage of shopping local small business is that it increases variety. National chains work long and hard to make sure your experience in one store is the same as the next. This can be a good thing if uniformity is what you are looking for, but it also means that when the options available are simply a handful of national branded stores, anyone looking for something different is out of luck. Small businesses are often built on a level of customer service that national chains cannot match. Usually this is because no one really has the level of commitment that a business owner possesses. That store represents a significant investment on the part of the small business owner. A worker at a national chain store can find a number of other jobs and isn’t on the hook for the debt and liabilities of a local proprietor. Owning a small business is hard work, and is impossible without a high level of dedication. Frequently, that dedication to the success of a small business carries over to a broader dedication to success of the surrounding community. 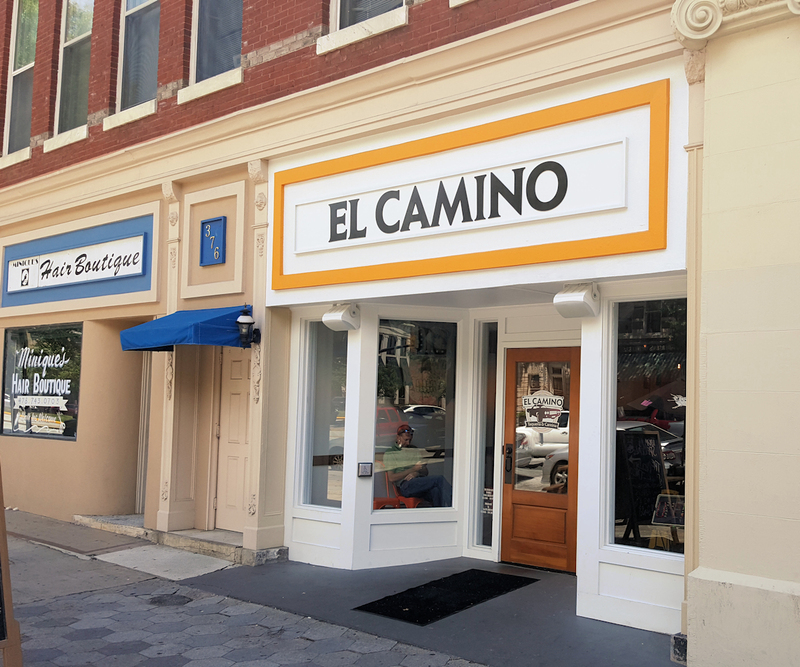 El Camino means “the road” in Spanish and can be found on 2nd Street in downtown Macon. Photo by Doug Deal. 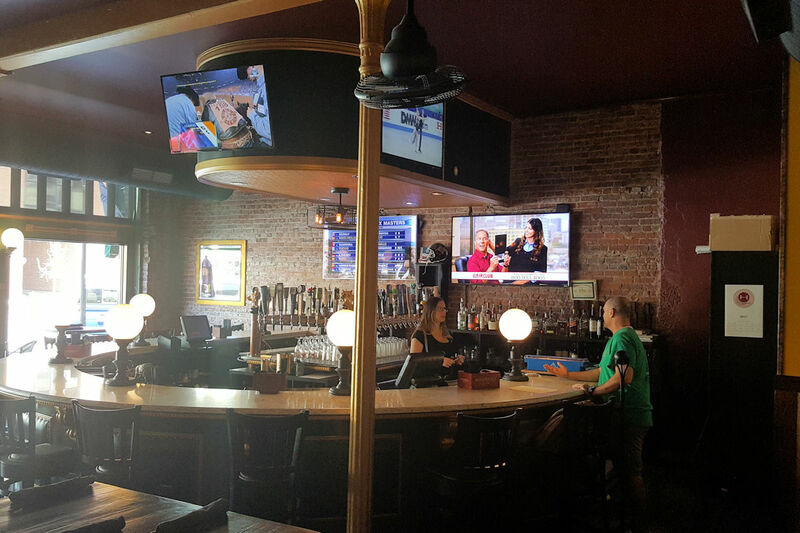 Local businesses also can provide a niche of service that national chains are reluctant to offer. When you have a large national store, profit is highly dependent upon normalizing your operation to be as efficient as possible. All too often, this means cutting corners in ways that shave pennies off the costs but when multiplied by the millions of items sold, represent a large margin. This means reducing the stock of less popular items and marketing to the “average,” which often times means no one is truly happy, just not offended. A smaller operation can tailor their business to meeting a niche market. If it is collectibles, antiques, service providers or just a local grocery store, they can easily decide to stock whatever they want, from whatever suppliers they want. If the community suddenly has a demand for something new the store can purchase supplies immediately, while a national chain has to clear it with their headquarters and justify adding it to their list of offerings. 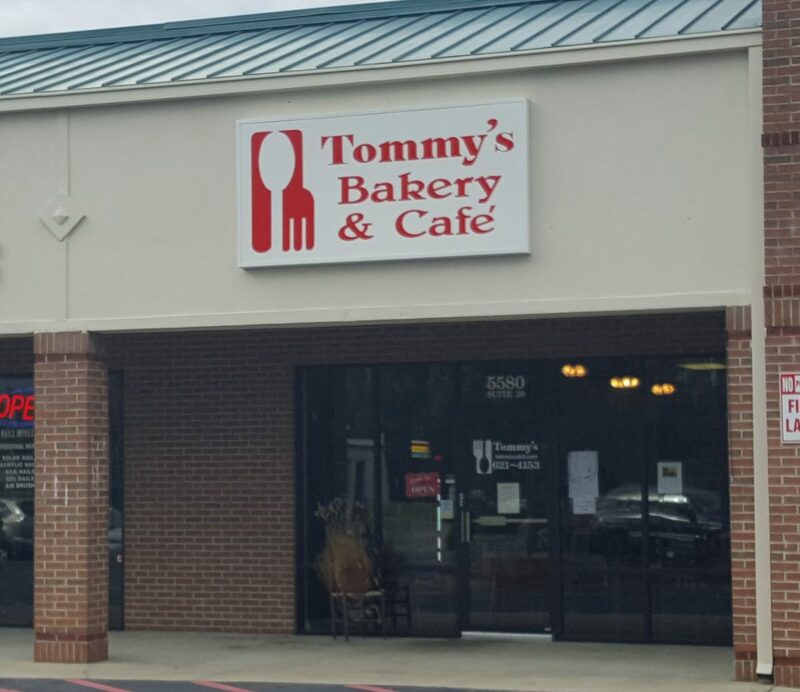 Exterior view of Tommy’s. Photo by Doug Deal. Taken together, this allows communities with a tradition of shopping locally to remain unique. There are some people that want to see every shopping area have a Best Buy, Staples, Bed Bath and Beyond, a Chipotle, Olive Garden, Kroger, McDonalds and a Lowes, but for others, this is best described as a real drag. When so many dollars flow into these stores and out to their corporate headquarters it kills the local character that makes a community unique. Every time someone decides to buy a low quality yet consistent 10-taco pack from Taco Bell, it is a choice against a neighbor with his own small Mexican restaurant…a neighbor who likely has kids in your child’s school or attends your church. The Grey Goose Players Grill is in the Forsyth Landing Shopping Center. Photo by Doug Deal. One doesn’t have to completely eschew national chains and online retailers to buy local. Some things are not reasonably provided for by the local economy. But some thought should be given to the impact a purchase will make. If you are tired of seeing so many closed shops littering the roads of Middle Georgia, the way to change it is in the palm of your hand, just as soon as you take out some bill or a credit card. Be okay with paying a little more for better food, more variety and a better economy that can even benefit you directly.